The photo at top was taken near New Baltimore, Ohio. CSX created a new intermodal facility in New Baltimore. It was a fitting choice. The original railroad was called the Baltimore and Ohio. So, the best place to put a new state of the art world class facility? New Baltimore, Ohio! The unit is a CF7 painted in the current CSX paint scheme. Here are highlights from the photos taken by me over the years. 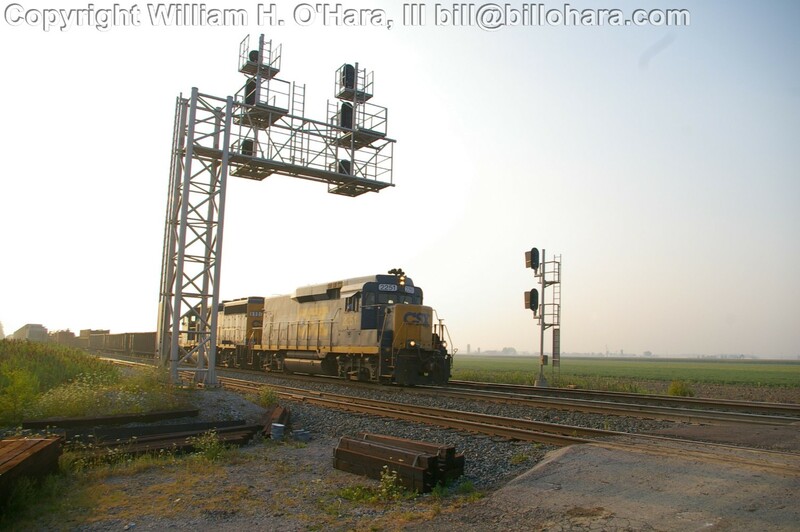 I do sell photos to railroad magazines on occasion. I have taken pictures around the world. Certain spots in Illinois have been some of my favorites. I included photos from Ireland. I took shots of the sugar beet trains. Those are not online. I have a picture of the Tara Mine freight included within this sampler. Each photo is a thumbnail. You may click on the thumbnail to see a larger version.